Quarter Given is a big stallion with imposing substance and power. He possesses strong bone, with a large hip and chest. He is robust and correct. 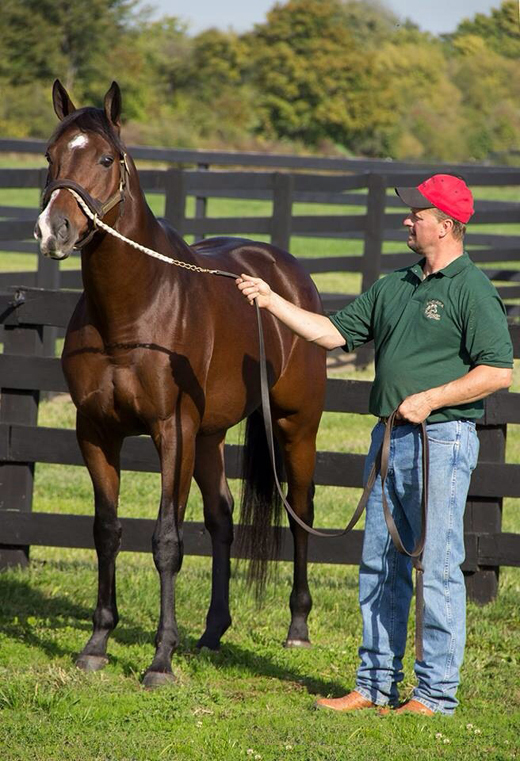 Standing 16.3 hands tall, he exudes quality, balance, and class, all of which he stamps his foals with. Quarter Given is by Elusive Quality. Elusive Quality set the world record for a mile of 1:31.63 in the Grade III Poker on the Turf and also ran a 123 speed Beyer on the Dirt. Elusive Quality is the Sire of Classic Winners Smarty Jones and Raven's Pass, as well as, the multiple graded stakes winning speedster Quality Road.